From Ruđer Bošković as a member of the London Royal Society to delighted British tourists; from Richard the Lionheart to Daniel Day Lewis - the links between Britain and Dubrovnik stretch through various periods of history to the present day, symbolizing the close links between people, knowledge, culture, business, and art of Croatia and Great Britain. This close relationship will be marked with the British Days in Dubrovnik from the 10th to 12th of October 2018. An iconic London double-decker will be parked on Pile at the entrance to the Old City of Dubrovnik on Wednesday the 10th of October. Where traditional British tea and biscuits will be served to visitors and children will be able to have fun in the Escape Room and play football. In the Visia Cinema we will show the best of recent British theatre and film productions, including Hamlet with Benedict Cumberbatch, and we will also open an exhibition of British artists who took part in this year's Organ Vida. Along with the Bonsai Volunteer Centre, British experts will share experiences of volunteering in healthcare. The historian Judith Everand will explain the interesting stories behind the island of Lokrum where, according to legend, Richard the Lionheart was saved after being shipwrecked. A saxophone Quartet from the British Army and the Beatles Revival Band are in charge of the (British) music platform, and at the Dubrovnik Beer Company pub will be able to test the knowledge - or learn something new – about Britain. And for the finale, on Friday, you will have the opportunity to watch Croatia vs England in the League of Nations, the first time the two nations will meet after the 2018 World Cup. 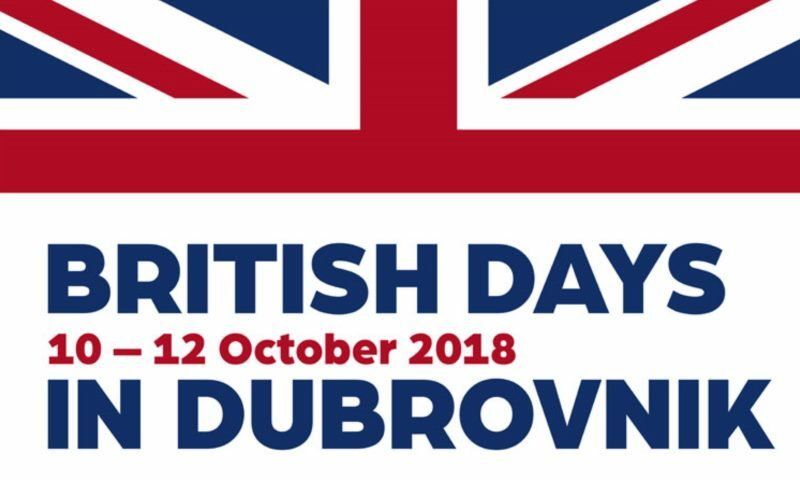 The British Days in Dubrovnik are organized by the British Embassy in the Republic of Croatia and the City of Dubrovnik.